TV Ratings Sept 14: The Bachelor winner announced… Channel Ten! Home and Away finished its week with a Thursday average of 697,000, an increase on the 661,000 watching on Wednesday. Make You Laugh Out Loud screened in four markets (no Melbourne) with 386,000. Melbourne viewers saw an encore screening of Little Big Shots, while some other markets saw it at 8.30pm. The Front Bar had a good night with 266,000 across three markets on Seven while there were 190,000 watching in Melbourne. That was enough to outrate The AFL Footy Show by 15,000. When the two shows went head-to-head The Front Bar had a lead of close to 50,000 at one stage. A Current Affair was on 765,000, which was enough to convincingly win the slot. Karl Stefanovic was hosting for a second successive night which means he’s been featured in primetime four nights this week, maybe more if we missed something on Tuesday. An hour of RBT did 652,000, which ranked second in the slot behind The Bachelor. The Footy Shows followed. The NRL edition did 184,000 with 108,000 in Sydney and 76,000 in Brisbane. The AFL program saw 269,000 tuning in with 175,000 in Melbourne. The novelty of having Eddie McGuire back was not enough to hold a big audience early and the program was third in the slot after 8.30pm but then ranked #1 after The Front Bar and The Bachelor ended. 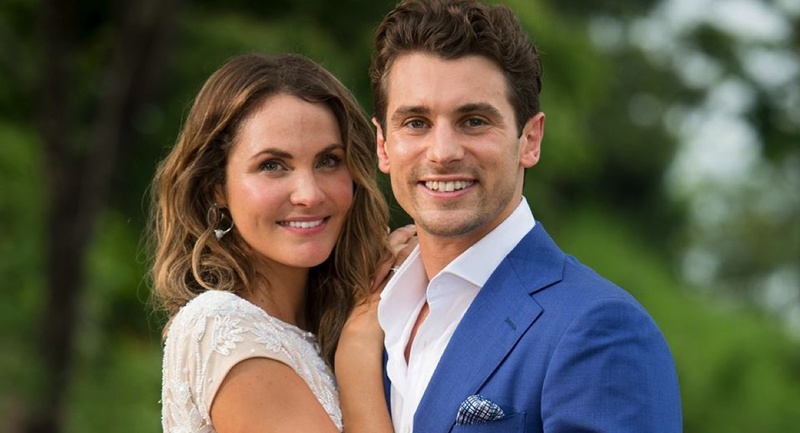 The audience of 1m tuning in to watch the series finale of The Bachelor Australia gave the channel its best share since 21.5% on the Monday that MasterChef Australia wrapped on July 24. 1.11m were watching Matty J‘s decision while the final episode did 980,000. The numbers were down on the 2016 final, which was screened in week 38 – 1.10m for the final episode and 1.32m for the final decision. The network has noted the conclusion to season five of The Bachelor Australia dominated its timeslot in the capital cities. The Final Decision grabbed a 46.2% commercial share in people 25 to 54 and a 39.5% share in total people, while the Grand Finale episode had a 43.1% share in 25 to 54s and a 34.5% share in total people. 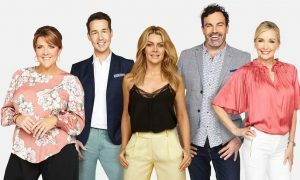 Network Ten chief content officer Beverley McGarvey said: “In its fifth season, The Bachelor Australia again proved it is one of the most talked-about programs on television and a program that generates strong results across multiple screens. 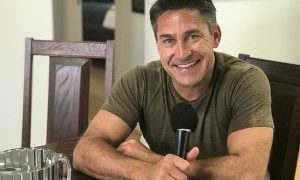 “This show has become a pop culture phenomenon, engaging and connecting with people on all screens. “We are delighted for Matty and Laura and wish them all the very best for the future,” she said. Later in the night The Wrong Girl did 423,000, up from 325,000 a week prior. At 8pm Short Cuts To Glory did 334,000. The return of Glitch just missed the top 20 with 329,000. Pulse ended in the slot last week on 384,000. It is two years since the first series launched with 504,000, which dropped to 328,000 for episode five of the six episodes. ABC2 had its best share this year with Gruen XL a big contributor on 184,000. Great British Railway Journeys had another audience over 300,000. Gourmet Farmer was also in that league with 303,000 as Matthew Evans was ready for the soft opening of Fat Pig Farm. The audience was up from 232,000 last week.